We proudly introduce the first of eight speakers! Temitope Agbana MSc develops tools that have a real impact. As a researcher he has a mission to prevent death from the effects of malaria. After quitting a very lucrative position in a multinational telecommunication company in his home country, he took a step of faith into the unknown. Following his passion and divine direction, he is intently focused on developing point-of-care diagnostic devices for rapid and sensitive detection of malaria and other neglected tropical diseases in humans and animals. 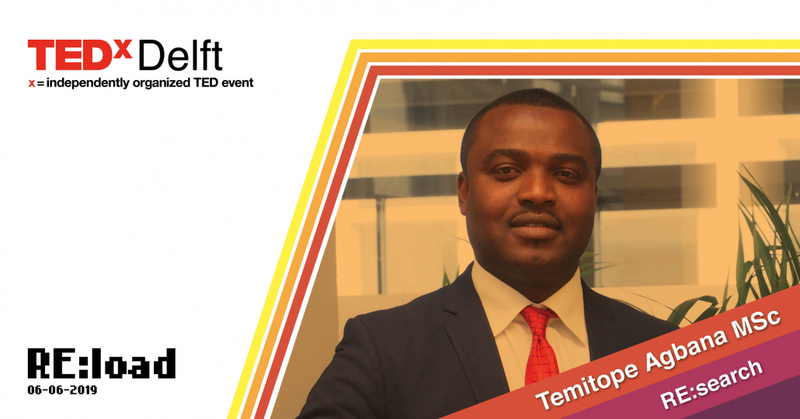 TEDxDelft 2019 | June 6 | Save the Date! TEDxDelft Speaker Re:veal: Ms. Meike van Ginneken MSc.